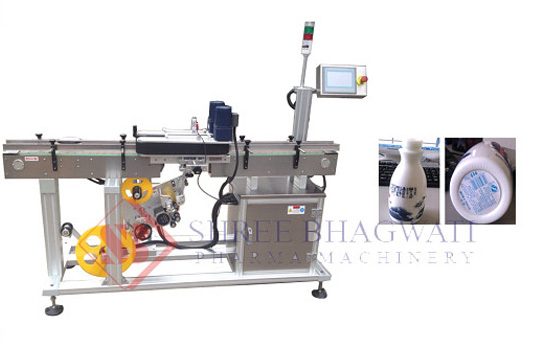 This single side sticker labeling machine is a well designed equipment that meets all the industry standards and the customer expectations. 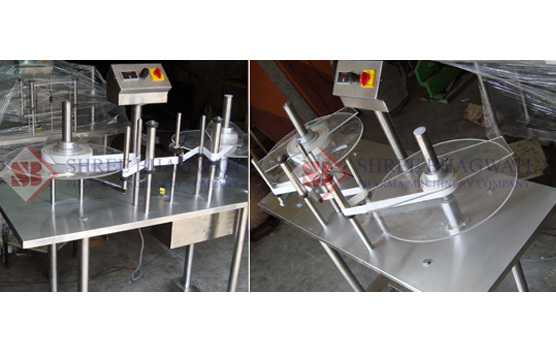 It is designed to handle both round and flat bottles applying both on the front and back side of the bottle. 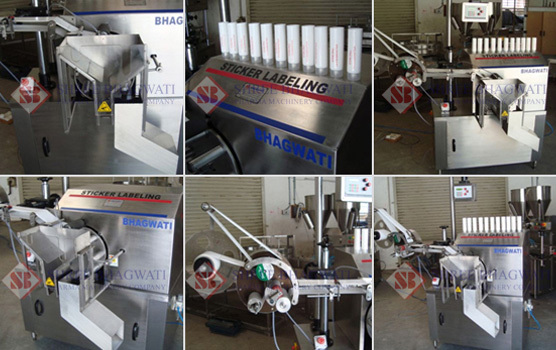 Single side sticker labeler from Bhagwati Company is virtually maintenance free and durability is guaranteed. 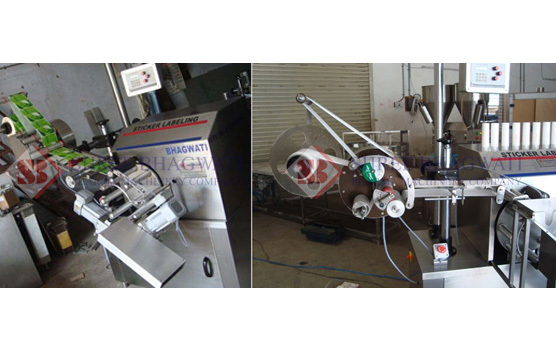 The dimensions of the label are easily calibrated into the equipment, eliminating the time loss during label changeover. Protection against voltage fluctuations has also been enhanced to avoid breakdowns and machine failures. 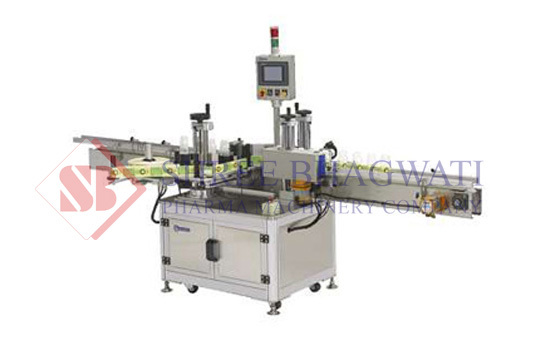 It is also suitable for partial as well as full wrap around labeling. 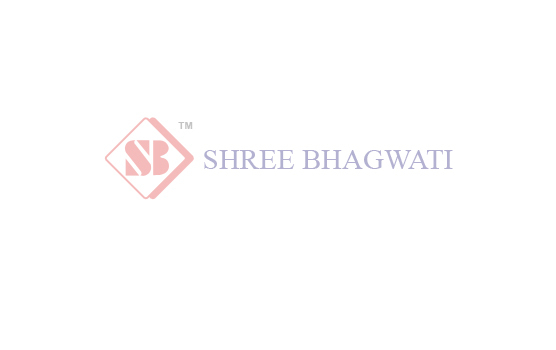 The framework system is made of stainless steel metal for protection and hygienic labeling of products. It has also been equipped with an AC variable frequency drive for speed control. 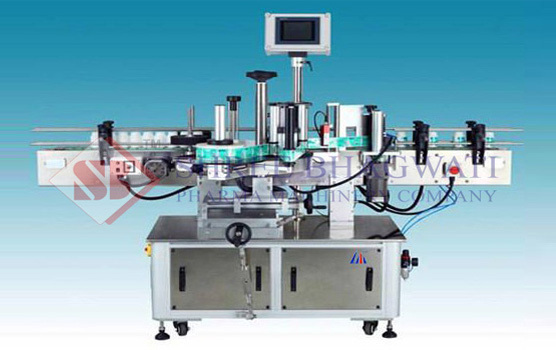 Optional features may also be added such as missing label sensing system, contact coder and special label sensing systems. 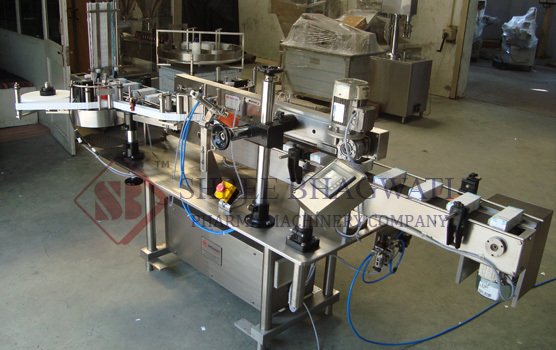 The single side labeling machine is used to label on one side of any sized or shaped product. 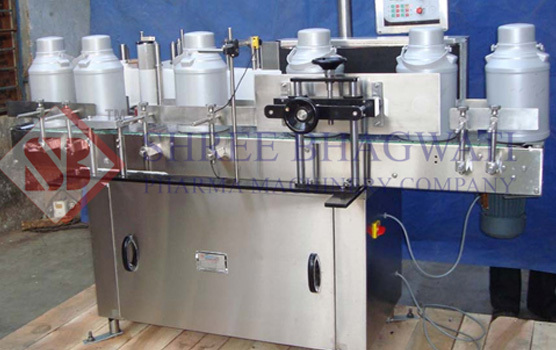 The machine can run at varying speed containers per min. The Single side labeling machine is easy to use. 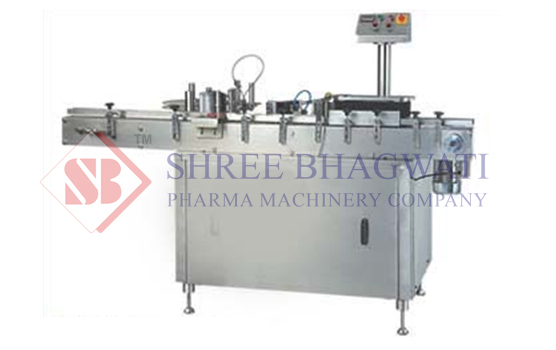 The machine runs on latest Microprocessor Controlled Stepper Motor Drive, Container sensing system and Fiber Optic Label. 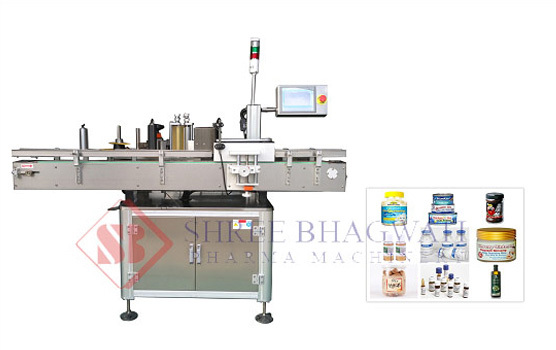 Why Single side label machine? It is not required to change the parts for different containers and even change label size in standard shaped containers. 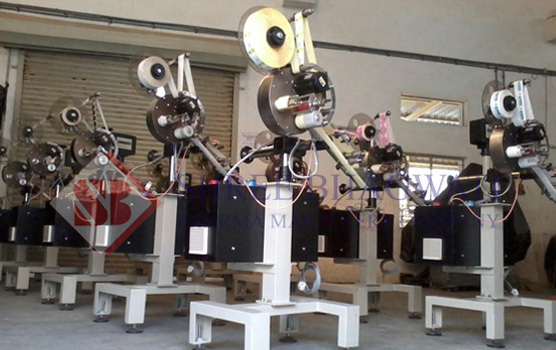 The machine supports single point on-line Speed Variation control system. 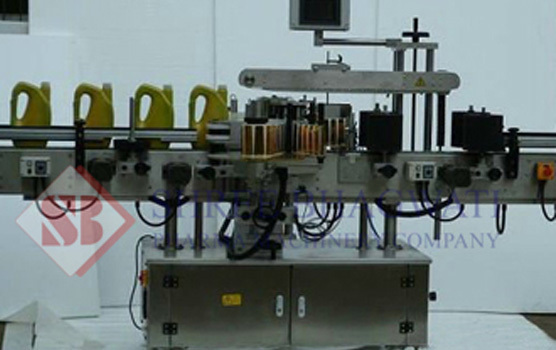 It provides per label placement on specific part. It consists of built-in A.C. Freq. Drive System.